Summer means cookouts and picnics, and whenever we’re invited to one it always seems like we’re asked to bring a side dish. It seems like we always end up waiting until the last minute and then it’s a rush to come up with something. 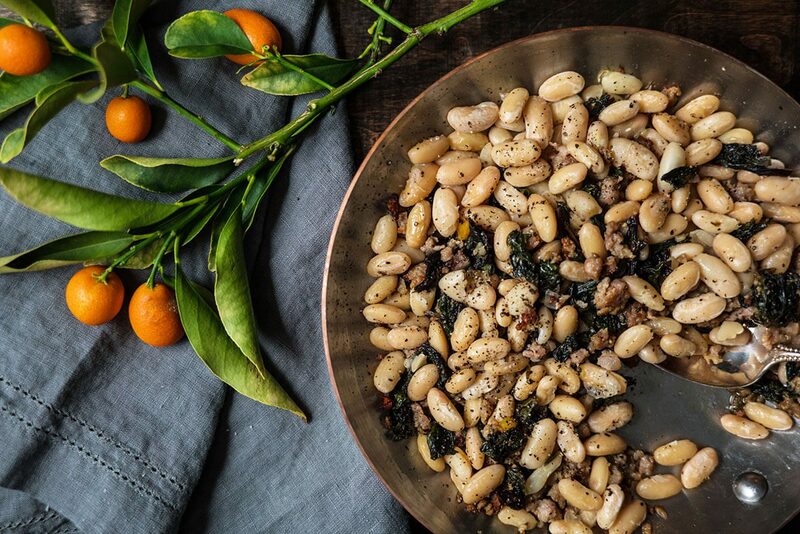 We’re being proactive this year and coming up with a list of summer sides, starting with this white bean salad with arugula and shaved Grana Padano cheese. 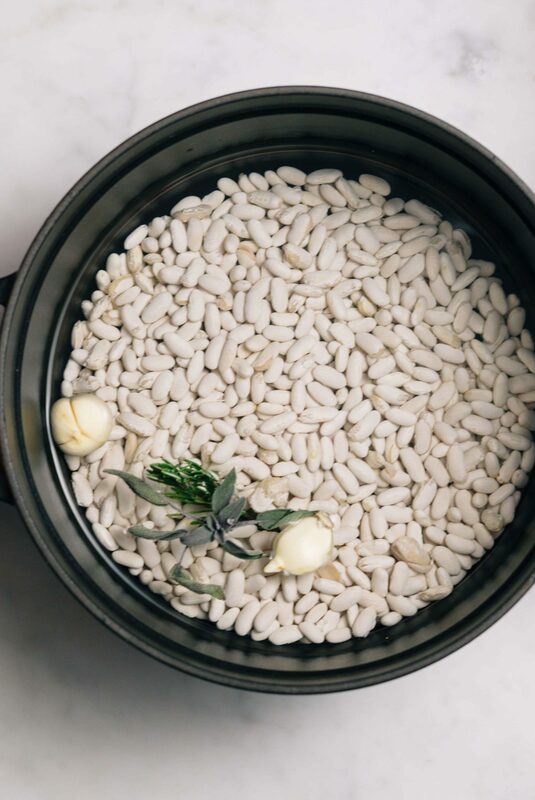 We love white beans, especially these Marcella beans from Rancho Gordo (also seen here). They are so flavorful, you really don’t have to do much to them. We made a simple balsamic dressing and tossed in some arugula, then shaved our favorite Italian hard cheese, Grana Padano, over the top. This can be a simple dinner or a side that you bring to a bbq or picnic. We started with white beans cooked in our electric pressure cooker. 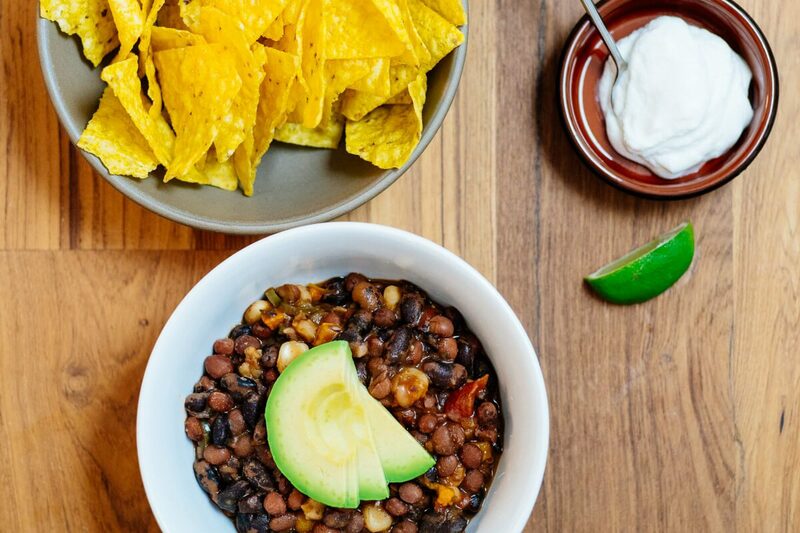 This is by far the fastest and easiest way to cook beans. We also use it for rice and grains like farro and quinoa. There’s no need to soak the beans in advance, and these white beans cooked in 35 minutes. We let the beans drain well in this type of strainer before assembling the final salad. Our dressing is a simple balsamic vinaigrette made with this balsamic from Rustichella d’Abruzzo, lemon juice, olive oil, two cloves of garlic, and a little dijon mustard to emulsify the mixture. We tossed the beans and arugula together in a large bowl immediately before serving so the arugula didn’t wilt, and in the process grated in some Grana Padano with this size grater. To serve, we shaved more Grana Padano on top with this peeler. It was perfection! Thank you to Grana Padano for sponsoring this post. To prepare the dressing, mix the balsamic vinegar, olive oil, lemon juice, dijon mustard, and garlic in a small bowl. Season to taste with salt and pepper. When ready to serve, add white beans and arugula leaves to a large mixing bowl (we like about equal parts of each). Grate Grana Padano cheese over the top, and toss with the dressing until evenly coated. Taste for seasoning and add additional salt and pepper if needed. If desired, transfer to a serving bowl and shave more Grana Padano over the top to serve.